THE Razorbacks experienced their worst defeat of the season last week when they were held scoreless for the entire game. This week, they meet ladder-leaders, Waratah in an attempt to redeem a poor performance. The Magpies are flying at the moment after downing Darwin last weekend, and will look to continue their good form when they face the Saints on Saturday. On Sunday, the Crocs will meet the Queen Ants. The Southern Districts have been on a roll these past weeks but Pint has proven to be a competitive outfit and may push the Crocs to their limit. The last match of the round will see the Wanderers play Nightcliff. Both teams are still searching for their first win of the season, and one team will finally get to sing their song after Sunday’s match, given the result isn’t a draw. The Warriors may have lost one game this season, but still remain the team to beat as they hover over the rest of the league. After a poor performance against the Crocs, the Warriors clicked into gear in their last game by smashing Pint. Waratah forward, Lisa Miceli has been damaging all season, but defenders, Alysha Healy and Lauren O’Shea have pushed forward from the back half in recent weeks to hit the scoreboard. The Warriors’ versatility has shown that they can kick majors from any position. Tracy Village started off the season strongly but has hit a slump in the past month. Kristy Irvine has had to carry her team through the midfield and up forward, standing as the club’s dual leading goal scorer. The Razorbacks cannot allow Irvine to carry this load alone if they are any chance to beat Waratah. Kristi Barnes once looked to be the spearhead up forward for Tracy Village, but is yet to string together some consistent performances. A few goals to Barnes against Waratah may give her a shot of confidence again. The Saints escaped the Wanderers by the skin of their teeth last week, but on Saturday they will have to fend off a hungry Magpies army. 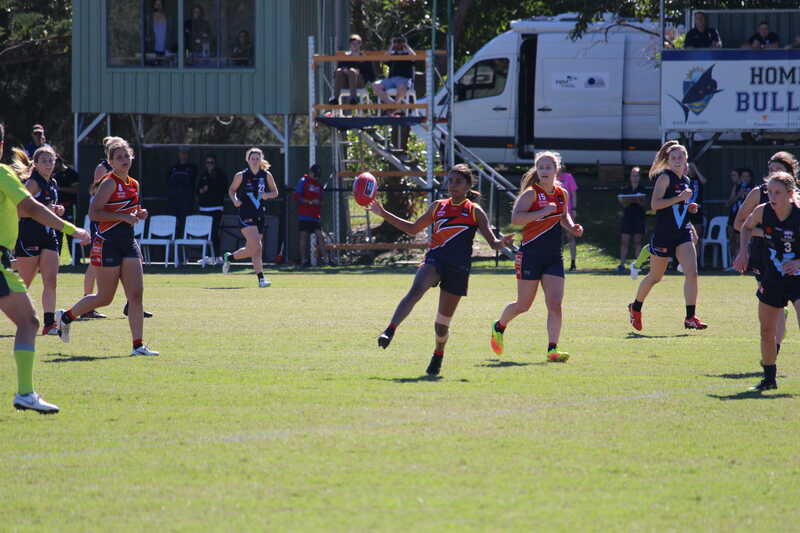 Palmerston got the better of the Buffettes on the weekend with a gutsy performance by Under 18 representatives, Tabitha May, Freda Puruntatameri and Janet Baird. Baird has been causing all kinds of havoc since moving into forward line, and could have the same profound influence again this week. St Marys defenders, Nikita Long and Lori Neven will need to be at their best if they are to stop last year’s Rising Star. The talent of youth in the Magpies is deep, but the Saints have a young gun of their own in Danielle Ponter. 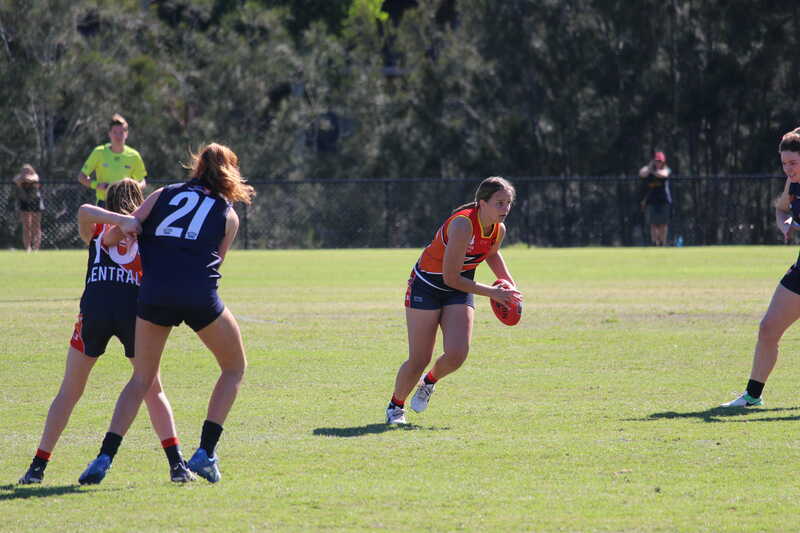 Ponter was recently drafted by the Adelaide Crows and has just recently returned to the Northern Territory Football League (NTFL) Women’s competition. Her skill in the midfield, as well as up forward, could prove to be the difference against Palmerston. Inconsistency in front of goal has not yet come back to bite the Crocs, as they have torn apart their competition in recent games and now sit second on the ladder. Southern Districts’ Tayla Thorn and Charles Deegan may not be the most accurate forwards, but their efforts week after week have been nothing short of first class. The pair has kicked 16 goals between them, and could’ve had more if it weren’t for inaccuracy. Crocs stars, Lateesha Jeffrey, Tahlia Holtze and Ebony Miller have been admirable in the centre of the ground, but the Queen Ants trio of Erin Hetherington, Katie Streader, and Cassie Henderson may give them a challenge this week. Southern Districts defenders, Holly Engelhardt, Tyler Thornton and Northern Territory Under 18 representative Bella Clarke have shut down the best of opposition forwards, so Pint’s leading goal kickers, Kristen Smits and Madeline Keeble will have to put in some extra effort if they are to penetrate this Crocs defence. Despite the fact that both teams currently sit at the bottom of the ladder, this game could prove to be a real nail-biter. Last week, the Eagles put up a good fight against St Marys but just let them slip away in the final quarter. A stronger defensive effort will be needed if they are to avoid sinking to last place. Northern Territory Under 18 representative, Arthurina Moreen has been lively up forward but has also been starved of opportunity all season. Wanderers’ midfielders, Calista Boyd and Keyona De Satge will need to dig deep this game and supply Moreen with some genuine opportunity in front of goal. On the other hand, the Tigers will need their own heroes to stand up and find a way to kick some goals. In previous matches, the efforts of defenders like Eliza Wear have held strong early in games, but the severe lack of scoring power has led to some crushing defeats by their opposition. Nightcliff must find a way to correct this weakness if they want to defeat the Eagles. ROUND 7 sees a top-four clash, where the Southern Districts will take on Pint. In other games, Tracy Village will take on Darwin, the Magpies host the Tigers while Pint and the Wanderers will go head-to-head. 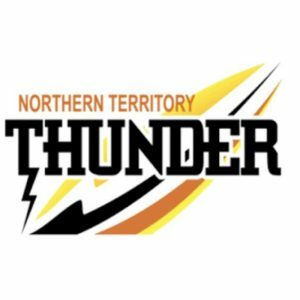 The Wanderers and Tigers will be searching for their first win of the season in this massive round of Northern Territory Football League (NTFL) Women’s. Tracy Village is coming off a bye, while the Buffettes have come off a tough loss to the Warriors. Darwin kept with the reigning premiers for most of the game, proving to be one of the main contenders to take on the Warriors this year. This will be a tough match for the Razorbacks, who sit fifth on the ladder with three wins and two losses. However, they will take pride in their most recent win in Round 3, where they beat Nightcliff by 95 points. The Razorbacks will really need to keep an eye on the Puruntatameri girls, who were on fire last week. Latina and Christine ruled the forward line while Sherayn ruled the whole ground, named as the best player for Darwin. Palmerston has an opportunity to secure a big percentage boosting win here. The Magpies currently sit sixth on the ladder, and will be wanting to make a big statement as they approach the midpoint of the season. Northern Territory Under 18 representatives, Janet Baird and Tabitha May have been the standouts for Palmerston, with Baird scoring seven goals and May being named in the best four times. The Tigers will need to tame this exciting Magpies duo, otherwise it could be another ugly week for them on the scoreboard. They will be desperate to cause the upset and secure their first win of the season, but Palmerston will be just as hungry to get its season back on track, which should make for a fierce battle. The Crocs come into this match after kicking 12 behinds in two consecutive matches. While they scored seven goals in Round 5, they only managed four in Round 6. Southern Districts still managed to get the win last week, but that was against a weaker side in the Wanderers. Waratah, on the other hand, is a team that will punish the opposition if they kick inaccurately. The Warriors also have the power to hurt the scoreboard with their dangerous forward line, which is spearheaded by Lisa Miceli, who is leading all scorers in the competition with 13 goals from four games. This game will be decided by who dominates the forward line better, as both sides possess plenty of fire-power inside 50. For the Southern Districts, Kelsey Patterson, Tayla Thorn and Charles Deegan will be keen to get on the scoreboard while for Waratah, if Miceli is complemented by Amy Chittick and Sue Nalder up forward, it could lead to another big win for the reigning premiers. In a second versus second-last clash, Pint hosts the Wanderers on Sunday. The Queen Ants are coming off two consecutive wins, recovering well from their Round 4 bye. The Wanderers on the other hand, are coming off five consecutive losses, having not won a game yet this season. However, they will take plenty of confidence into this game, as their smallest loss came against Pint in Round 2. In that game, the Queen Ants narrowly escaped with a four-point win, so the Wanderers would be hoping to be on the other end of the tight margin this time round. Arthurina Moreen was the Wanderers’ only goal scorer in that match, so the team will need her to fire again in this clash. For the Queen Ants, they will be trusting Kristen Smits to keep up her good form inside 50, and Erin Hetherington to continue her dominance on the field. THIS Saturday, it’s the clash of the titans when the Darwin Buffettes meet the undefeated Waratah, followed by the Southern Districts and Nightcliff. On Sunday, Pint will attempt to crawl over St Marys at Gardens Oval, while the Palmerston Magpies look to continue their good form against the Wanderers. This is the fight the Territorian women have been waiting for, as first meets second and the premiers of 2018 meet the premiers of 2017. This classic rivalry dates back to 2017 when the Buffettes defeated the Warriors, who had won the previous four premierships. Waratah would return in 2018 and reclaim its title against Darwin early this year, which brings us to Saturday. Lisa Roberts and Lauren O’Shea may have their hands full with Darwin forwards, Machaelia Roberts and Meredith Turner, however, the Buffettes will need to contain Waratah forward, Lisa Miceli, who has kicked 13 goals from three games. It will be a real battle of attrition as the best take on the best this weekend. The Southern Districts Crocs played strongly but were inaccurate last weekend. The move to push Tayla Thorn forward to support Charles Deegan seems to be paying off and Tahlia Holtze is playing the role of goal-sneak quite well. Southern Districts defenders, Ebony Miller and Holly Englehardt will be feeling confident this weekend with the Tigers only multiple goal-scorer being Jamie Lee Puatjimi, with two majors for the season. This could get ugly again for Nightcliff with the Crocs looking hungry for a top four spot. Pint pulled off a shock win last week against the Razorbacks and is looking to step up the pace against St Marys. Cassie Henderson has become the queen of the Queen Ants with her performance in the midfield, as week after week she brings her team home. 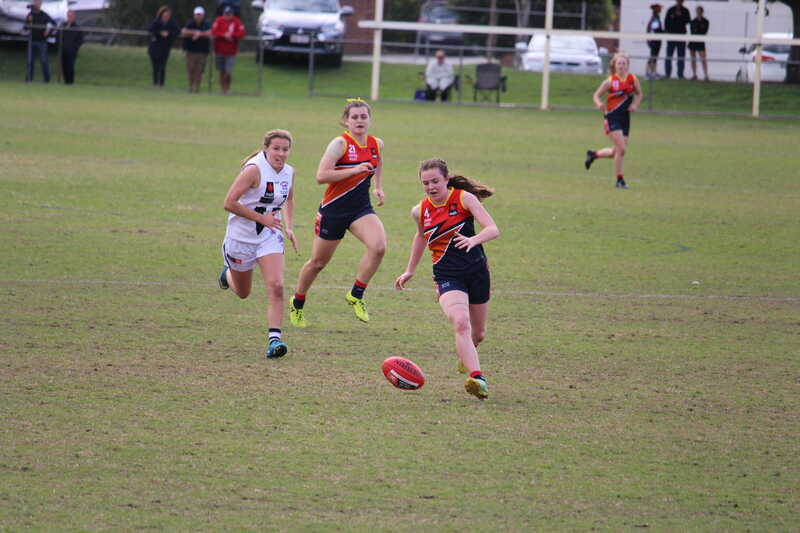 Henderson kicked two goals against Tracy Village with small forward, Ellie Ryan kicking two of her own. Saints forward, Jaylene Boundary has had to shoulder the goal responsibilities alone this year, and she will need support if St Marys want to end its losing streak. Palmerston is coming off the bye, and young guns Tabitha May and Janet Baird have stepped up in each game. Baird currently leads the Magpies’ goal scoring with eight, and May is providing an X-factor that allows her to transition from forward to midfield and help support Natasha Medbury. Palmerston has turned its season around with its last victory over the Southern Districts, but the Wanderers need to show something to keep them off the bottom of the ladder.